Mount St. Helens/Mount Adams (Gifford-Pinchot National Forest) [ti822] - $10.95 : Trail Explorers Outpost, Keeping the Adventure Alive! 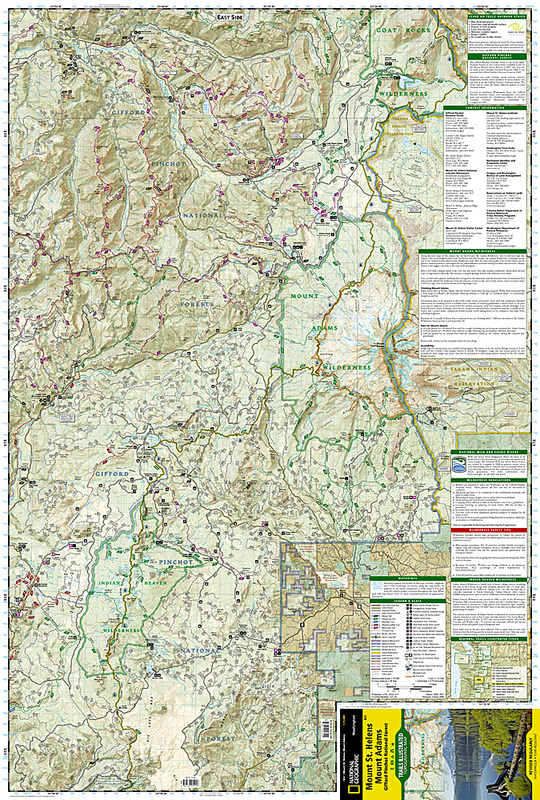 One of five new Trails Illustrated maps for the Washington Cascades region offers the most detailed and up-to-date map for the forest, carefully researched and developed in co-operation with local land managers and agencies. 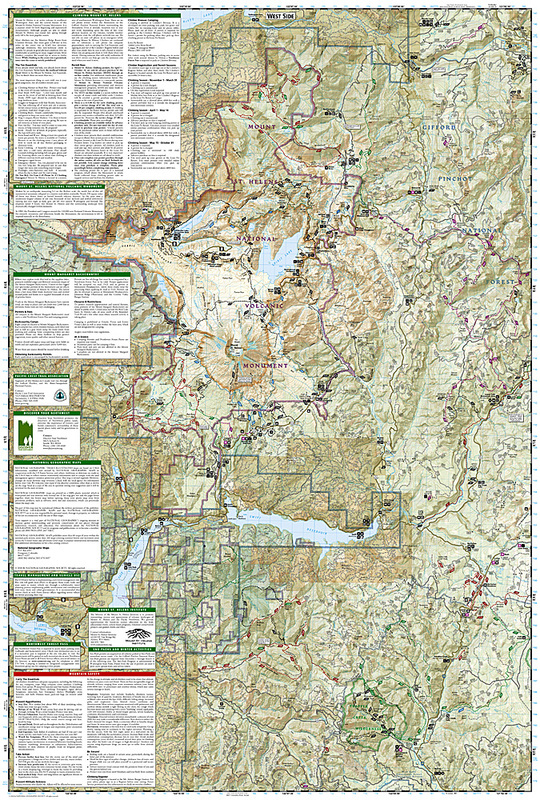 Each map contains easy to read trails, numbered forest service roads, campsites, access points, scenic points-of-interests, and important facilities. Along the west slope of Mount Adams lies the 46,353 acre Mount Adams Wilderness. The 12,236-foot high Mount Adams is the second highest peak in the Northwest after Mt. Rainier. The Yakima Indian Reservation bound Mount Adams Wilderness on the east. Wilderness trails offer the hiker spectacular views of Mount Adams and its glaciers, tumbling streams, open alpine forests, and wildflowers scattered among lava flows and rim rocks. Mount Adams is the biggest volcano in the state of Washington. Mount St. Helens is an active volcano in southwest Washington state and the central feature of the Mount St. Helens National Volcanic Monument. It is a popular climb for both beginning and experienced mountaineers. Like all Trails Illustrated maps our new Washington Cascades titles are both highly durable and environmentally friendly. Each map is printed in the United States, at a certified green printer, using low V.O.C. inks on waterproof, tear-resistant material. Proceeds from the sale of Trails Illustrated Maps go to support the National Geographic Society's nonprofit mission to increase global understanding and promote conservation of our planet through exploration, research, and education. Size: 4.25" x 9.25" folded, 26" x 38"